Women with MS appear to have more peripartum complications than women without MS overall, yet the number of pregnancies among women with MS continues to rise. 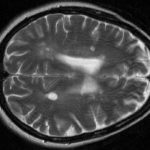 Pregnancy rates among US women with multiple sclerosis (MS) increased between 2006 and 2015, and claims data showed that women with MS appear to have more peripartum complications compared with women without MS overall, according to retrospective claims database analysis results published in Neurology. Patient data from the IQVIA Real-World Data Adjudicated Claims-US database, recorded January 1, 2006, to June 30, 2015, were retrospectively reviewed to create 9 cohorts of female patients with MS (n=274,501) and without MS (n=5,374,616). In total, data on 58 million women without MS were used to obtain a nationally representative 5% random sample for the dataset. Using these cohorts, the study’s investigators estimated the prevalence of pregnancy over time, identified from diagnosis and/or procedure codes and adjusted for covariates. In addition, propensity score matching was used to identify and compare claims for pregnancy and labor/delivery complications. The percentage of women with MS and pregnancy rose from 7.91% to 9.47% from 2006 to 2014, respectively, in the adjusted dataset. Conversely, the percentage of women without MS but with pregnancy decreased from 8.83% to 7.75% in the same period. There was a significant difference in linear trend, with a 0.17% increase and 0.15% decrease in the per-annum pregnancy rates among women with MS and women without MS, respectively (t statistic=7.8; P <.0001). After propensity score matching, the researchers found that a significantly higher percentage of women with MS had claims for premature labor compared with women without MS (31.4% vs 27.4%, respectively; P =.005). Women with MS were also more likely to have claims for infection (13.3% vs 10.9%; P =.016) and cardiovascular disease (3.0% vs 1.9%; P =.028). In addition, women with MS were more likely than women without MS to have anemia/acquired coagulation disorders (2.5% vs 1.3%, respectively; P =.007), neurologic complications (1.6% vs 0.6%, respectively; P =.005), and sexually transmitted infections (0.4% vs 0.1%, respectively; P =.045). Acquired fetal damage (27.8% vs 23.5%, respectively; P =.002) and congenital fetal malformations (13.2% vs 10.3%, respectively; P =.004) occurred more often in offspring of women with MS. Limitations of the study were its retrospective design, the inclusion of only the first identified pregnancy in the final analysis, and the recruitment of data from only those patients with commercial health insurance. Houtchens MK, Edwards NC, Schneider G, Stern K, Phillips AL. Pregnancy rates and outcomes in women with and without MS in the United States. Neurology. 2018;91(17):e1559-e1569.